White Swan is Now Closed. Thank you kirkland for 40 years of serving the local area. White Swan's excellent service happreciates all it's customers and the communit. We hope you have enjoyed our carwash and wish you well in your future. 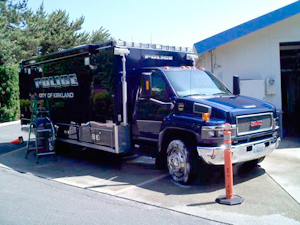 We Also Detail Fleet Automobiles as seen here with Kirkland's Finest. Looking for employment at White Swan? Click here.